Isn’t it true that there are times when we are legends in our own mind? When this happens I have gotten better in noticing that I am in “legend mode”. My biggest personal “no-no” is to become arrogant and ignorant. I love that I am confident and that I believe in myself, my skills and my abilities, and I know that I wouldn’t have been able to build my business the way I did if I wouldn’t have had this incredible confidence that was instilled by my parents. They have always told me how smart, how talented and how beautiful I am. I think this is the biggest gift that you can give to your children as a parent. When I came home with a bad grade (which actually happened more than once), my mom used to tell me, “The teacher probably didn’t explain it well enough because you are a smart girl. Never let one snapshot of the school year define if you’re smart or not.” Thanks mom! The point is that I am not the smartest, not the most beautiful and for sure not the most talented person in the world but I feel great in my own skin. Isn’t this what it is all about? Today I want to share my mental strategy for staying humble. Take a look and see if you can apply some of it in your life. I always make sure to ask for feedback in order to discover possible blindspots (things that I don’t know about myself except others tell me). Sometimes it isn’t easy to hear but it always helps me to learn and to grow. Have you noticed that I do this on my blog all the time? I share my weaknesses. People in my workshops think at times that I have it all figured out but nothing can be further from the truth. I have learned to share my shortcomings and this helps me to correct my behaviours and become a better person. We are so easy to judge. I am working really hard to become less judgmental. A great way of doing this is to accept other people for who they are and look for the best in them. I have learned that if you look for it, you will find it. 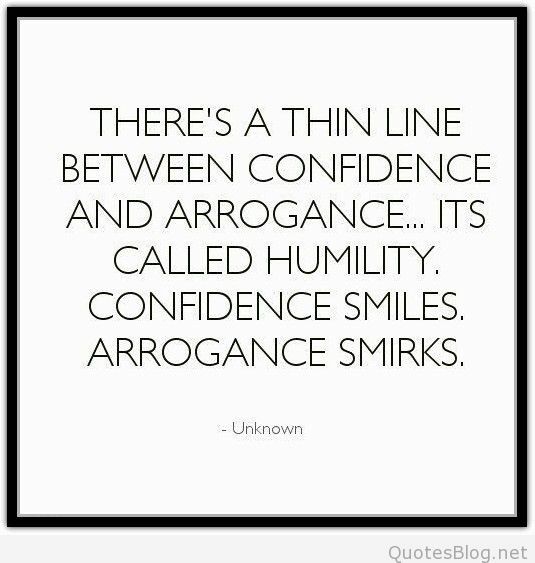 Let’s tap into each other’s brainpower and be confident and humble along the way.